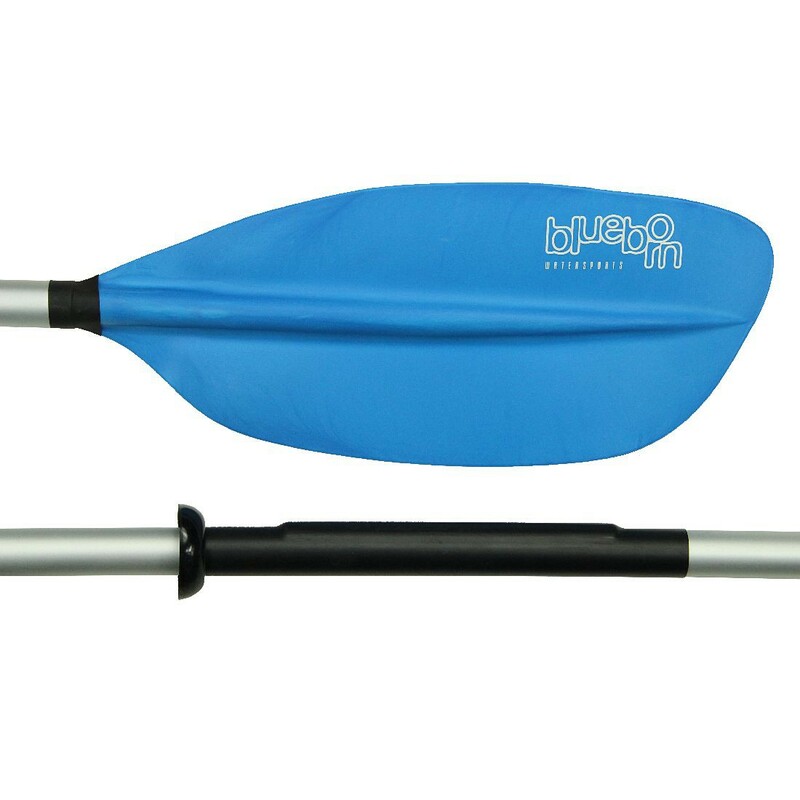 Buy Blueborn XT-Alu 225 - aluminium double paddle 225cm, asymmetrically adjustable paddle sheets, 1150g from Blueborn at Camping Outdoor online. Blueborn´s Aluminium Paddle XT is a practical companion for a family bathing trip, white-water adventure or a quiet ride on the lake. 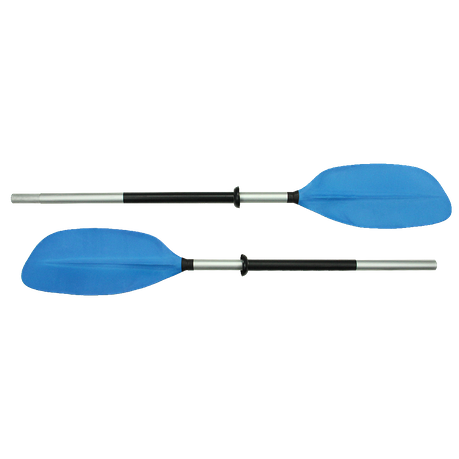 The clear advantages of our Blueborn paddle are obvious: low weight, divisible for transport and asymmetrical paddle blades that can be adjusted to several angle positions. The paddle blades can be adjusted in three different angular positions: -60° / 0° / 60°. This can be easily adjusted by the attached push-button lock. The special oval shape allows you to see the current angle of the paddle during use. 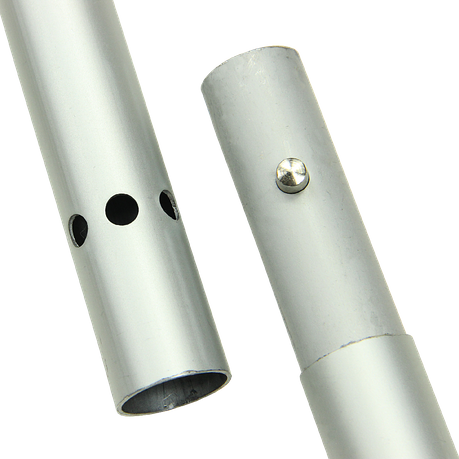 The paddle can also be easily divided into two segments at the point where the pressure lock is fitted. In this way, it can be stored and transported in a space-saving manner. It has a separate packing size of (LxWxH) 120x20x5 cm. The shaft has a diameter of approx. 29mm. The total weight of the entire paddle is about 1.15 kg. The paddle bar is made of aluminium and is therefore pleasantly light. The full length of the paddle measures 225 cm.The drip rings provide a secure grip as they protect against water. The sink-stop construction prevents the paddle from sinking in case it should land in the water. 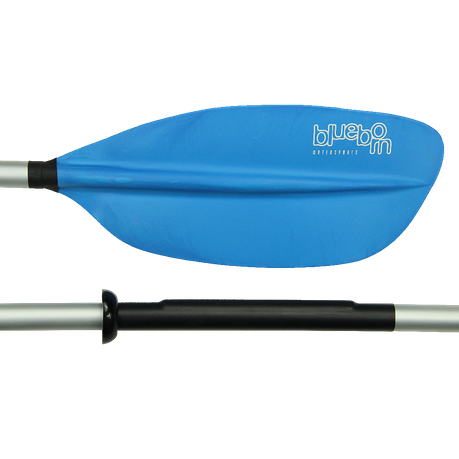 The Blueborn XT aluminium paddle is perfect for a family swim, whitewater adventure or a quiet boat trip on the lake.The asymmetrically adjustable paddle blades are a clear advantage. These can be set in three different angular positions: -60° / 0° / 60°. So the paddle can be adapted to your needs. 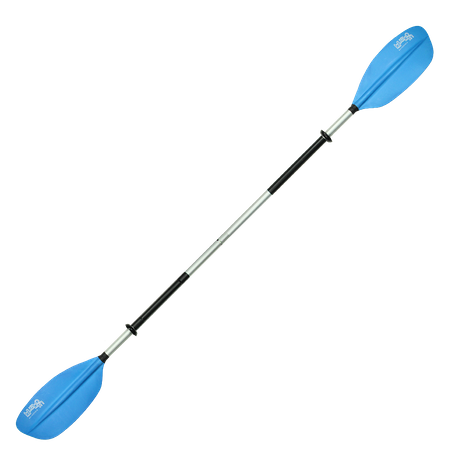 Our 225 centimetre long double paddle has an aluminium shaft and asymmetrical adjustable paddle blades. These are made of a high-quality mix of 60% polypropylene and 40% fibreglass. 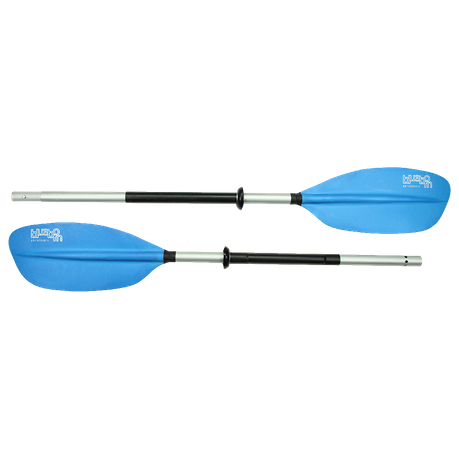 This guarantees you a long service life on kayak tours and boat trips and ensures reliable paddling fun. The grip surfaces, which are equipped with non-slip yet soft rubber, ensure perfect handling. Due to the low weight of the material, paddling is particularly energy-saving. This makes the paddle the perfect accessory for any water experience. The existing sink stop function prevents the paddle from sinking when it lands in the water. 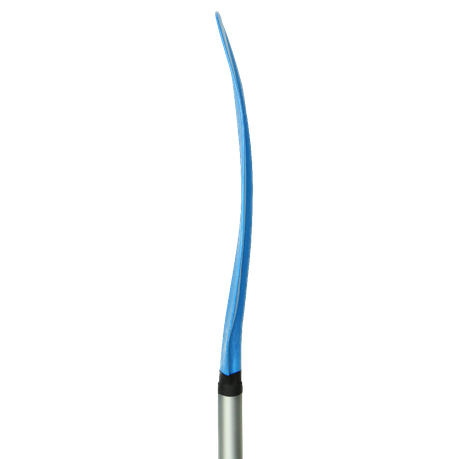 The attached drip rings ensure a secure grip as they protect against water. The special, oval and asymmetrical shape of the paddle blades ensures even pressure build-up on the entire paddle blade. The paddle can easily be divided into two segments for transport. Separately, the paddle measures only 120x20x5 centimetres. Weighing 1.15 kg, the fibreglass paddle is ideal to take away. It is ideal for a trip with the family to the lake or for a holiday on high water. Whether for the kayak, the dinghy, the canoe or paddle boards - this paddle is suitable for every type of boat.